Beach House Reunion – Returning to her childhood home in the Lowcountry at the request of her mother, Caretta Rutledge, who had thought she had forever buried her Southern roots and her troubled family, unexpectedly begins to reconnect with her friends and family while she fixes up the family beach house, learning that in order to live life to the fullest, she must forgive and forget the past. Mary Alice Monroe will be in conversation with fellow author Mary Kay Andrews on Festival Saturday to discuss life, friendship, laughter and writing. Mary Alice Monroe is the New York Times and USA Today bestselling author of nearly two dozen novels. Her books have received numerous awards, including the 2008 South Carolina Center for the Book Award for Writing, the 2014 South Carolina Award for Literary Excellence, the 2015 SW Florida Author of Distinction Award, the RT Lifetime Achievement Award, and the International Book Award for Green Fiction. Most recently, Mary Alice was named by the South Carolina Academy of Authors as a 2018 inductee of the Literary Hall of Fame. Her bestselling novel The Beach House was adapted into a Hallmark Hall of Fame original movie that premiered in April 2018, starring three-time Golden Globe nominee Andie MacDowell, Minka Kelly, and Chad Michael Murray. 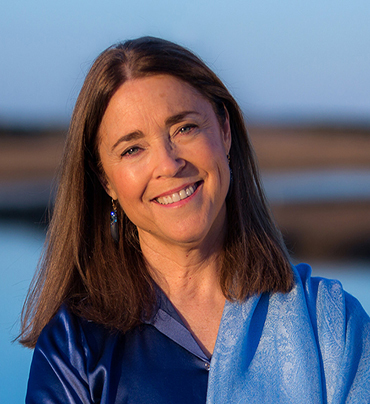 Mary Alice is an active conservationist and lives in the Lowcountry of South Carolina. Her upcoming novel, The Summer Guests, will hit shelves in May 2019.